Friends, colleagues and fellow activists gathered today at the Brooklyn Commons to pay tribute to Jane Kurinsky, long-standing and dedicated member of Brooklyn For Peace. Jane was lauded as speaker after speaker rose to talk about her life, her activities and her optimistic spirit, friendliness and fierce dedication and commitment to making the world a better place. The meeting was chaired by BFP's Matthew Weinstein who introduced friends who wanted to tell about their relationship with Jane. He introduced Tony Vazquez, who went to social work school with Jane . Tony remembered those early days but also told of working with her later on as part of a network supporting abortion rights. Weinstein said that Jane was that rare kind of activist, a "Jimmy Higgins worker" he said, referring to a mythical rank and filer unionist from the early 20th century—"the kind of activist that doesn't bask in the glory of leadership, doesn't speak in public to masses of people but is always there when you need them and when the going gets tough. That sums up Jane's commitment to Brooklyn For Peace," he said. "Whenever a table had to be staffed at a street fair, whenever flyers had to be distributed, whenever there was a job to be done, Jane could be counted on. She was always 'present and accounted for' but she never asked for recognition in return. "It's fitting and proper, therefore, for us to recognize her contribution now as these unassuming and modest but dedicated activists are indispensable for our movement to grow," Weinstein concluded. Georgia Guida, a long-time friend of Jane, spoke of the times they shared together in supporting women from attacks by anti-choice hooligans outside abortion clinics. It was an afternoon of memories and of stories of shared friendship. One thing was certain—there was lots and lots of love present in the room. "Jane, we're gonna miss you. We already do!" The slideshow can viewed in this gallery by clicking on Image Number 1. 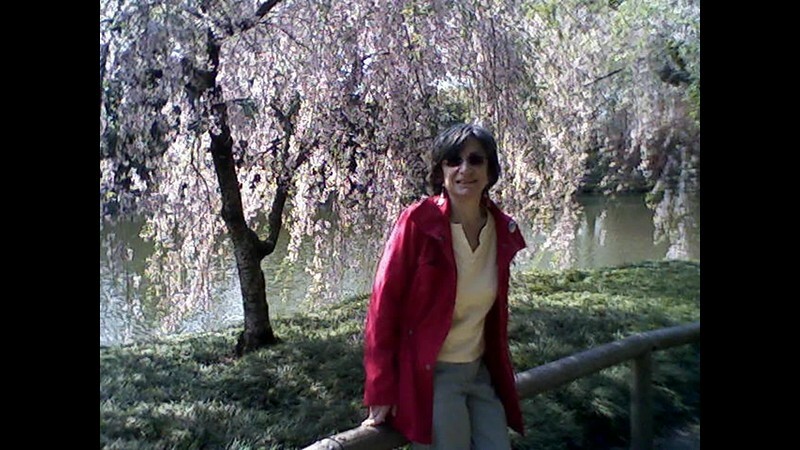 A tree in Jane's memory will be planted on Tuesday, May 2nd at 9:00 am sharp in Prospect Park's Long Meadow at its northeastern end (enter at Grand Army Plaza and keep to the left side of the meadow about 100 yards in. See this MAP).